I recently booked a hotel room in downtown Toronto. It was for my wife and I to have a short getaway, while my Mom looked after the kids. It wasn’t the most frugal thing we’ve ever done, but it was well worth the money. A friend of mine told me to try PriceLine – it’s a travel site where you can bid for things like hotel rooms and hopefully get a discount off the regular rate. It sounded like a neat idea, so I used it to book our hotel room. If you don’t already have an account, go to priceline.com and sign up. In order to put in a valid bid, you must be signed into your account and have a credit card registered in “my profile”. The hotels have a “floor” price for any available rooms. If your bid is below the lowest floor price, it will get rejected. If your bid is rejected, you can’t bid again within 24 hours, unless you change two factors – normally you would change the price (upward), you can also change the location. Now, obviously if you want downtown Toronto, you don’t want to end up somewhere else. In order to get the best price, closest to the floor price, you want to be able to bid many times, slowly increasing the price as you go. 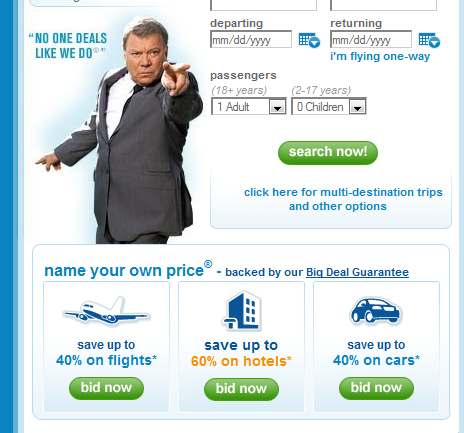 The problem is that Priceline limits your bidding to prevent you from doing this. Their rule is that you have to change either the location or star rating if you want to bid again within 24 hours. It’s very important to know that if your bid is accepted – your credit card will be charged right away and it will be non-refundable. You should start checking about 4-6 weeks prior to your desired dates. It doesn’t hurt to start earlier, but it’s less likely that hotels will be willing to reduce their rates. The simplest way to use Priceline is to pick your area and start putting in bids. The problem is that you can only put in one bid per day, so it might take a while before you get an accepted bid. First step is to figure out an area. For bidding purposes, large cities are divided up into different areas. For example in Toronto, there are two “downtown” areas. The specific boundaries of each area are shown on the Priceline site. I wanted a hotel in “Downtown Toronto South”. For more information about possible hotels and successful bids – check out these Priceline forums. Here is the Toronto/Ottawa hotels list – This shows all the Toronto/Ottawa hotels participating in Priceline as determined by successful bookings by forum members. Here are some tricks to increase the number of bids we can enter in one session. What we are trying to do is to keep bidding slightly higher bids in order to minimize the price we end up paying. These tips are more effective in larger cities where you can set up different area combinations. Tip – If you are looking for a 4-star end hotel downtown – you can create a new location combination by including an area that you don’t want, but it doesn’t have 4-star hotels. This new area combination allows you to rebid on your desired area, but there is no chance of getting a hotel room in the undesired location. For example, I might bid $85 on Toronto downtown south – 4-star. It gets rejected. I want to bid again and increase the price to $90, but I can’t rebid within 24 hours unless I change something else – I can choose a different star rating or I can include a different location that doesn’t offer 4-star hotels. 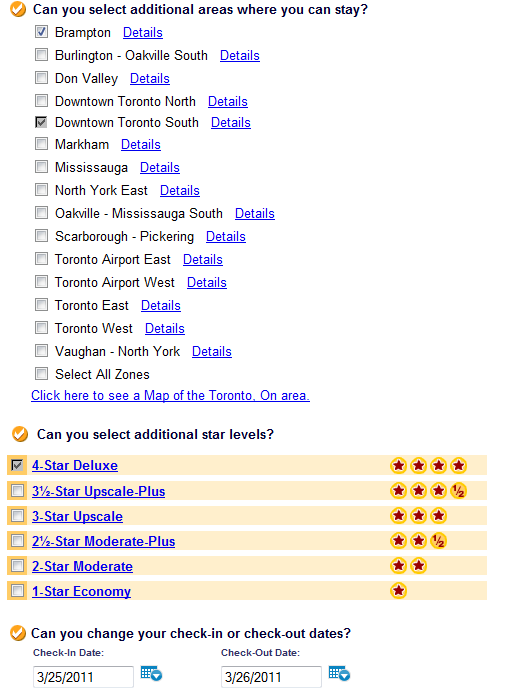 To determine which areas don’t have 4-stars, select one location and see if the 4-star location is highlighted. 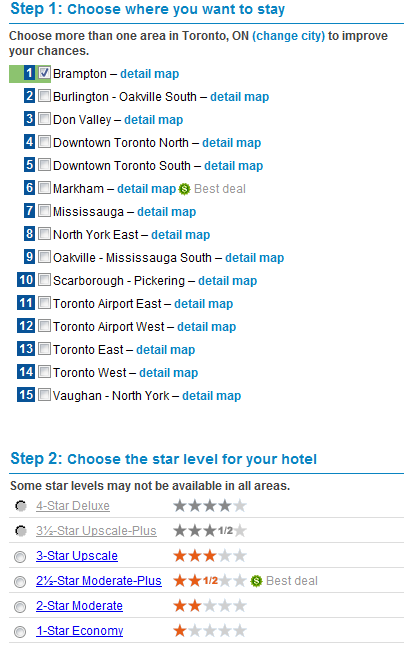 For example, Brampton does not have any 4-star hotels that are participating in Priceline. By including Brampton in the area search (along with Toronto downtown south), I can now bid again. Because Brampton does not have any 4-star hotels on Priceline, there is no chance I’ll end up in Brampton. Keep track of your bid combinations so you aren’t wasting bids. This will allow you to start over with the various combinations necessary to make more bids. Let’s take some of the lessons from this post and apply them. Now I’m going to check out a few of the hotels for March 25th and see what quotes I can get. First I got a quote from the hotel website, then I checked on Expedia. The dollar figures are the website price, followed by Expedia.ca. I found it interesting that the average Expedia price was slightly higher than the prices quoted on the hotel websites. Not sure if this research proves that Expedia is useless, but that’s what I’m thinking. From the price list, I can see one big problem – the Hilton is offering rooms for $119, which is a lot cheaper than anywhere else. Since it is a four star hotel, it’s likely that any bid will get filled from there first, if any rooms are available. This might negate the whole point of having a group of available hotels. I’ve heard that 50% of regular price is a good goal for your eventual winning bid. With that in mind I’m going to bid $40 which is less than half of the cheapest hotel ($119). I don’t think this is realistic, but it’s good idea to do some lowball bids in order to get familiar with the bidding process. The more bids you have available, the better price you can get since you can use a smaller increment when increasing your bid. 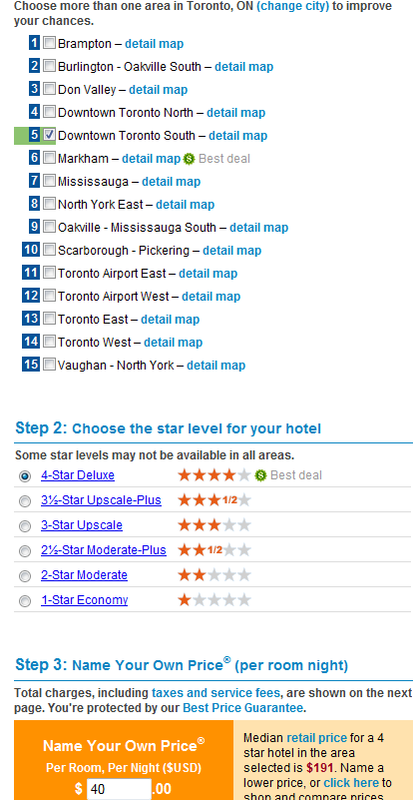 First I need to figure out which Toronto locations do not have all four hotel star categories. I can use those locations to create extra bids. Select “bid now” for hotels. I’ll fill in the info. Now I .need to check all the areas for the star availability. Please note – there is nothing wrong with determining a new location combination each time you make a bid, but if you are planning to minimize your price by using small price increments, it’s easier to figure out the locations first. 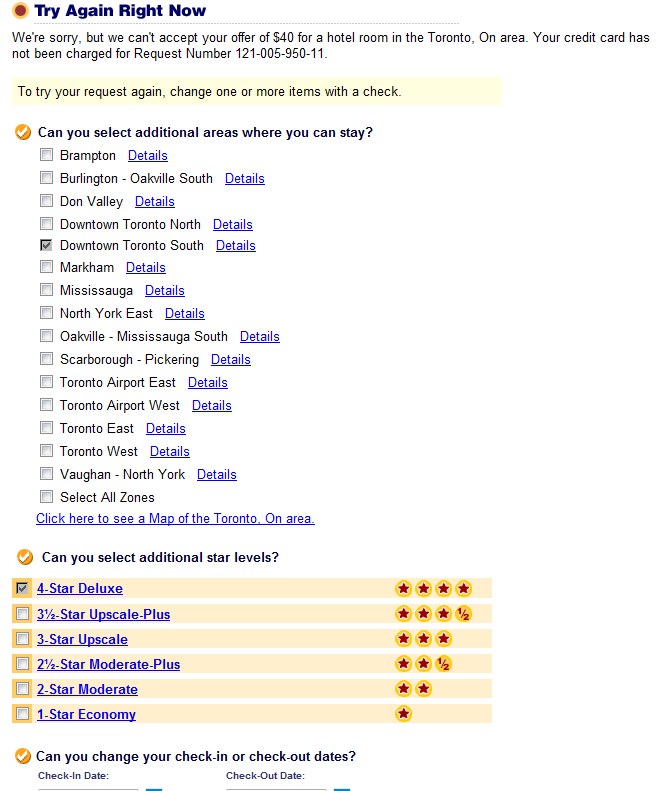 If I select the first Toronto location “Brampton” – I can see that both the 4-star and 3.5-star selections are greyed out, which means there are no 4-star or 3.5-star hotels in that area. You can see how the 3.5 and 4 star selections are greyed out. I can use the lack of a 4-star option with the Brampton location to get one extra bid for my desired Toronto downtown south location. Bid #1 Location = Toronto downtown south. 4-star. Bid #2 Location = Toronto downtown south & Brampton – Remember, I’m requiring a 4-star hotel and Brampton doesn’t have any 4-star hotels in Priceline, so there is no way I can end up with a room in Brampton. This is really just another bid for Toronto downtown south. I decided to bid $40 just to get started. With taxes and service fees, the total will be $52.65 US. When you get to the “We’re Ready To Get Your Hotel Room” screen – at this point, select the credit card (which you’ve already entered), enter the security code (three digit number on back of card) and then press the “buy” button. This is the last chance you have to cancel the transaction. Then you get to look at William Shatner for a minute or two, while your bid is being considered. Not surprisingly, my $40 bid was not accepted. Now you can bid again, but you have to change either the area, the star level or check-in/check-out dates. Priceline also suggests increasing your price. Ok, now I’m going to bid $50 and I’m going to include Brampton in the area list which will allow me to place another bid. I’m going to keep increasing my bids slowly and change the area combination each time. So far I’ve used: Toronto downtown south and then Toronto downtown south + Brampton for the areas on my two bids. At this point I’m over 50% of the price of the cheapest hotel – Hilton $119. Which leads me to think that they might know they are the cheapest hotel in their Priceline group and don’t have to mark down their price very much, if at all. If that is the case, I am probably wasting my time with any bids under $100. More Hilton thoughts – Now I’m wondering if the Hilton is even in this group. Perhaps they got downgraded from four stars and the forum list wasn’t updated? If case you are wondering why I’m not just doing single pairs (ie Downtown South Toronto plus one new list item in sequence), it’s much easier to add an area to the previous bid, then it is to start a brand new bid, which you have to do, in order to remove an area from the bid. Downtown South Toronto, Mississauga, Oakville, Scarborough, Toronto East $95 – Success!! Here is where I made my big mistake – on the list of available areas in Toronto, there is a Toronto Airport East and a Toronto East. Unfortunately, I selected Toronto Airport East (which has 4-star hotels) instead of just Toronto East and just bought a $95 room which I have no intention of using. F***! 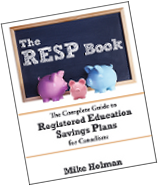 The total cost with fees came to $116. I wouldn’t have minded going to a different area if the hotel was anywhere else, but it’s right at the airport and there isn’t much around there. Oops. Yup – I ended up at the Toronto Hilton which is what I originally thought might happen. If I book a room at the Hilton directly, the cost is $119 plus taxes for a total of $135. Priceline total cost was $116. So I saved a whopping $19 on this room. As I suspected, I think the Toronto Hilton doesn’t give much of a discount on their rooms, because they are in a group with much more expensive hotels. How much money did I save really? Unfortunately, because of my $116 mistake, I didn’t end up saving anything. My total cost was $232 for a room that I could have gotten from the hotel website for $135. A difference of $97. Getting away from the kids for a night – priceless! Thanks to Robb at Boomer & Echo for some background information. Great job on the review Mike, and thanks for the mention! I think Priceline is a good resource when you know the location and can isolate an area of the city that you want to stay in while not really caring which hotel you end up at. If you select the wrong area on the map 😉 or if you don’t know the area very well, you could end up booking at a less than desirable property. All in all, I think you can save money using Priceline over other booking channels, and the bidding process can be fun if you have a bit of time on your hands (just like eBay). My husband and I just got back from Chicago, and we stayed at the Hyatt Regency for $70 +fees /night. Came to about $86/night for a four star hotel in the heart of downtown Chicago….I spoke to others staying there and it turns out it was actually an excellent rate. I was very pleased with Hotwire. I find that I tend to get cold feet just before booking in case the hotel is horrible, but if it is in the right area + has a good star rating, it tends to work out well. Turn your loss into a win, give away the hotel room in a contest on your blog, then you can write off the expense and get some free promotion! @Zeddy – Sounds like a good deal to me. @Jordan – You can’t transfer the room. I use Priceline all the time when my sweetie and I want to spend a night away from the kids. I’ve regularly gotten the W hotel for around $45 a night+tax (regular rate is $195+tax), I’ve gotten the Westin for about the same (regular rate is $139+tax). The thing is, what kind of deal you can get all depends on what else is going on in that area. If there’s a convention or something else, then you’re never going to get a discount, because the hotels aren’t going to release rooms to Priceline. But during a slow period, you can get great deals. You are also more likely to get a room if you bid close to the day you want to stay (the day before or the same day is best), than if you bid further out. The more time a hotel has to possibly sell a room, the less likely they are to release it to Priceline or another bidding site. I regularly use Priceline as well and have managed to score some pretty good deals using it. Lately I’ve noticed the deals don’t seem to be quite as good but I used to always get about 67% off the published rate on the hotels website in years past. The room we got at the Sheraton Center in downtown Toronto was my favourite. It was even better because we were able to combine it with a cheap starpoints upgrade to get one of the best non-suite rooms in the hotel with full access to their amazing top floor lounge. I couldn’t believe they let me do an upgrade like having booked through Priceline, but they did! The guy who admits people to the lounge almost didn’t let us in because he couldn’t believe his eyes when he checked our booking. I guess not that many people have done that kind of thing before. The only issue with this is some of the hotel points programs don’t allow you to earn points for rooms purchased via 3rd party sites such as Priceline, Hotwire or Expedia. That part alone would make me think twice about saving a few bucks. The savings would have to justify losing the ability to earn points or nights towards a free trip and/or status level. Good review. I liked your points about researching the hotels in the area that match your criteria. That is great advice for those who are nervous about bidding without knowing exactly what hotel you are booking for.